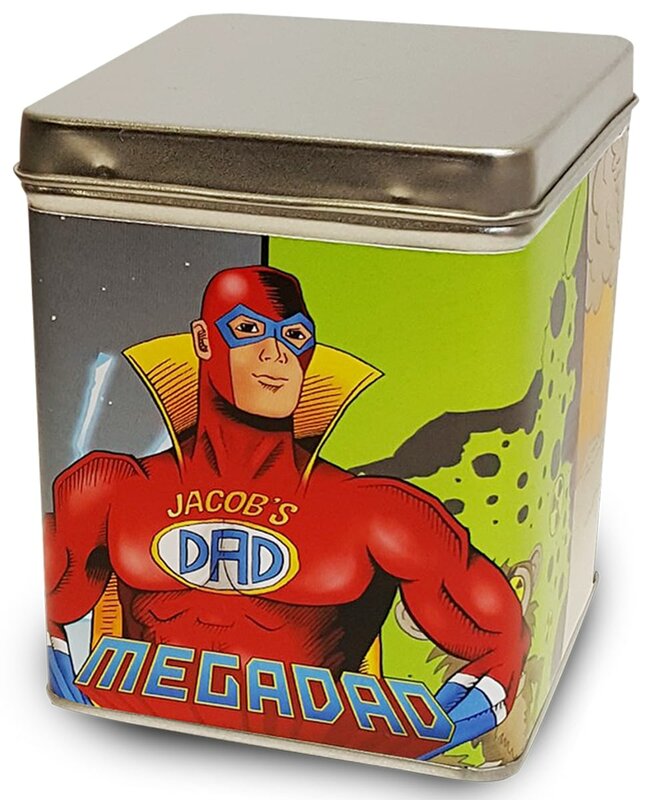 The silver coloured caddy with our Megadad design, contains refreshing, premium breakfast tea that will kick start their day in the best possible way. On the outside the caddy is personalised with the recipient's name. This is a lasting gift that will remain a keepsake of the occasion. A matching mug is available.